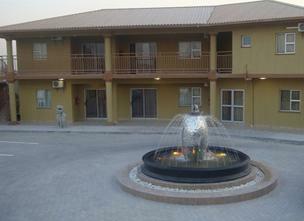 Enjoy the experience of true Namibian hospitality and your leisure travel in a serene environment of Hotel Destiny in Ongwediva. Friendly people and sunny skies all add to the alluring charm of this town where old reminiscences meets new experience to cherish. 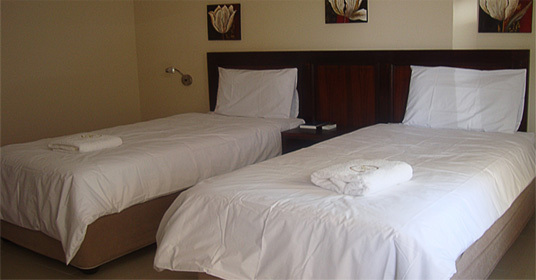 Hotel Destiny is strategically located in the centre of Ongwediva Town, with a magnificent view that invites its clients to experience the new standards of elegance and comfort. 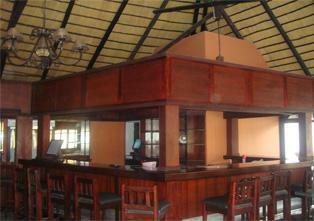 Hotel Destiny provides the guests with astonishing service and tender sense of relaxation. The hotel offers guests spotless accommodation in 31 air-conditioned rooms, superb affordable conferencing and banqueting facilities available for up to 50 delegates. Dining and leisure facilities include Namib Restaurant, Fountain-view Lounge Bar and Serene Bar featuring DST TV with door gateway towards a sparkling swimming pool, outside catering. Room service is from 07h00 to 21:30.
Leisure activities include a swimming pool on site, while a shuttle service is available when is arrange in advance for guests wishing to visit places of interest and attractions. Complimentary parking is available on the premise which is secured by access control to the hotel grounds and a car wash arrangement nearby is also available to support local youth employment opportunities. Hotel Destiny offers a total of 31 rooms of which 7 are Luxury Suits. All rooms have air-conditioning and heating with individual controls, direct-dialing telephones, coffee- and tea-making facilities, refrigerator, remote-controlled satellite TV, en-suite bathroom with bath, shower, toilet, electrical shaving plug (220 volts) and a hair-dryer. While mixing in African moments of textures, colours, objects and finishes, clients find state-of-the art high tech facilities as a main feature of the hotel. 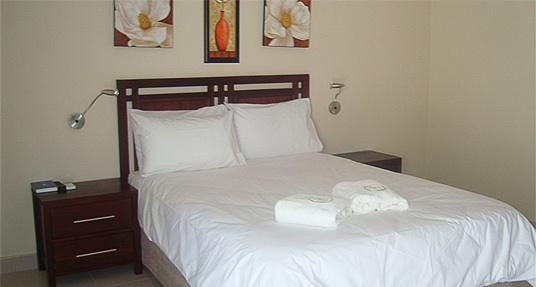 The Executive Suites have two separate rooms, a lounge, dining area as well as a private bathroom. The Restaurant is a beautiful, elegant restaurant seating 70 guests which serves an extensive a la carte menu as well as an up-market buffet. The Hotel offers an open dining-area that provides seating for a maximum of 14 guests in a perfect setting to dine and, enjoying select three-, four- or five-course menus and special individual service. Special crockery, cutlery and crystal glassware create an extraordinary ambience for a special occasion. Quotations and bookings are essential by prior arrangement through Senior Management. o A Corporate Conference which can accommodate more than 10 seats is also available. Nearby leisure activities include gym, golf, shopping mall and cinema.